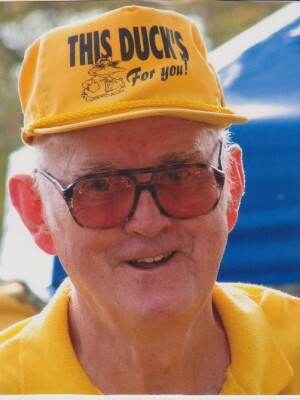 FULTON, NY – Jesse “Rex” Yardley, 80, of Fulton died at home surrounded by family on Saturday June 28, 2014. He was born in Fulton to the late Jesse and Mildred (Tooley) Yardley. Jesse had remained a life resident of Fulton. He was a United States veteran having served in the Navy from 1954 to 1959. He was a Fulton police officer for six years, past employed with Morrill Press, Fulton for 30 years and worked with Menter’s Hearse and Ambulance Services for 53 years. Jesse was an avid volunteer having been a member of the Fulton Lions Club for 36 years and was the program coordinator for the Eyes and Hearing Program for 25 years. He was also a past board member with the Fulton Lions Club and the Finger Lakes Eyes and Ears program. Jesse was a current member of the Fraternal Order of Police, a lifelong member of the State Street Methodist Church, Fulton, and he enjoyed hunting, golfing woodworking, gardening and attending all of his grandsons’ sporting and musical events. He is survived by his wife of 52 years, Sheila Yardley of Fulton; two daughters: Ann- Marie (Dennis) Wise of Fulton and Lynn (Bradley) Shirk of Baldwinsville; grandsons: Zacharie, Jacob and Ryan Shirk; brothers-in-law: Donald (Mary Ann) Riley of Florida and Leonard Fleming of Fulton; sister-in-law, June (Gary) Dusharm of Hastings, NY; and several nieces and nephews. He was predeceased by his sister, Ann Fleming. Funeral services will be held at 10 a.m. Friday at the State Street Methodist Church, Fulton, with Rev. Marion Moore-Colgan officiating. Burial will be held in St. Mary’s Cemetery where the Fulton VFW Post #569 will bestow military honors. Calling hours will be conducted 4 to 7 p.m. Wednesday at the Sugar Funeral Home, 224 W. Second St. S., Fulton. The family has requested that in lieu of flowers donations be made to the State Street Methodist Church, 357 State St., Fulton, NY 13069 or the Fulton Lions Club, 212 S. Fifth St., Fulton, NY 13069. A great loss. I always enjoyed working with Jess at Morrill Press and especially driving for Menter’s. He was always ready to help with anything. My thoughts and prayers are with you. May your memories of him and the times you shared comfort you as you grieve his loss. I worked with Jesse at Menter’s and always enjoyed our talks. May he rest in peace. Sorry to hear of Jesse’s passing. He was such a nice man and very hard worker. He will be missed. Condolences to Sheila and family. Rex was such a big part of all of the reunions for the “Class of 53”. He worked so hard on our 60th reunion last year…his concern was all about everyone else. He certainly will be truly missed by his classmates. He always had a smile and was everyone’s friend. RIP, My Friend of many years…I will miss you so much. Sheila & family–so sorry to hear about Jesse–thoughts and prayers go out to you. May your memories help you thru this sad time. God Bless! My father (Bill Yardley) and I were saddened to hear of the loss of Uncle Jess. Our thoughts and prayers go out to the family. I know my dad enjoyed all the years at the Morrill Press with him. And I was little when we left Fulton but remember Uncle Jess was always really nice to me.